As a new year begins, American Legion Glen Hill Post #287 is getting ready to welcome past and present state officers of the American Legion, American Legion Auxiliary, and Sons of the American Legion to Cedar Springs. As a lifelong Michigander and Detroiter, having resided in the city of Detroit for 62 years, Richard I Chatman is the newly elected American Legion Department Commander of Michigan’s 70,000 plus members for 2011-2012. Commander Chatman was elected on Sunday, June 26, as the first African-American State Commander, by the delegates attending the Department of Michigan’s 93rd Michigan state convention at DeVos Center in Grand Rapids. Commander Chatman, a Vietnam veteran served in the United States Air Force June 1968 – June 1972 earning the rank of Staff Sergeant. As a 15 year member of Coleman A. Young Post 202 in Detroit. He has served the American Legion organization on all levels. 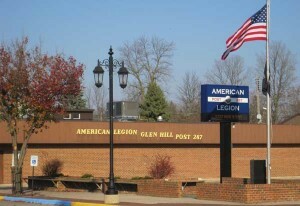 Now that he is Department Commander of the American Legion, he will be attending the Early Bird Dinner at the American Legion Glen Hill Post 287, Cedar Springs on Saturday, January 7, 2012. At the dinner, he will bring news of the progress that he has made as Department Commander for the past six months. As a 27 year member of the Greenawalt-Flaherty Unit 42 in Charlotte, American Legion Auxiliary Department President Carrie Bowerman is well known for her dedication to her unit. President Bowerman served her 3rd District in many offices as well as Department. She and her husband, Charles P. Bowerman, a Vietnam Air Force Veteran, will be attending the Early Bird Dinner on Saturday. Also attending will be American Legion Junior Auxiliary President Chelsea Kovacs. Dwaine Verville and his wife will also be attending on Saturday. He assumed the office of Sons of the American Legion Detachment Commander on Sunday, June 5 in Novi. Commander Verville is a 15-plus-year member of Iron River Squadron #17. He has served in his squadron and UP District in many offices including Commander. The Cedar Springs American Legion Family Post 287 will be welcoming all past and present State Officers and will present Commander Chatman and Verville and President Bowerman with Cedar Springs traditional Red Flannel undergarments and will parade them around the dance floor with the chicken dance song. The American Legion was founded in 1919 based on the four pillars; veterans rehabilitation, Americanism, child welfare, and national security. The Legion’s mission above all is as a consumers’ advocate for veterans.